Want an account? Sign up Forgot password? If you have made an account on the mobile app (either iOS or Android) you can login with those credentials. If you have a Recipes account and a mobile app account, using the same email address, then the two accounts will be linked when you login. If this recipe is inappropriate or has problems, please flag it for review. Thanks to the Anova Sous Vide Precision Cooker, short ribs are quickly becoming our new favorite meat. These are braised in a smoky beer with other aromatics then broiled to perfection. 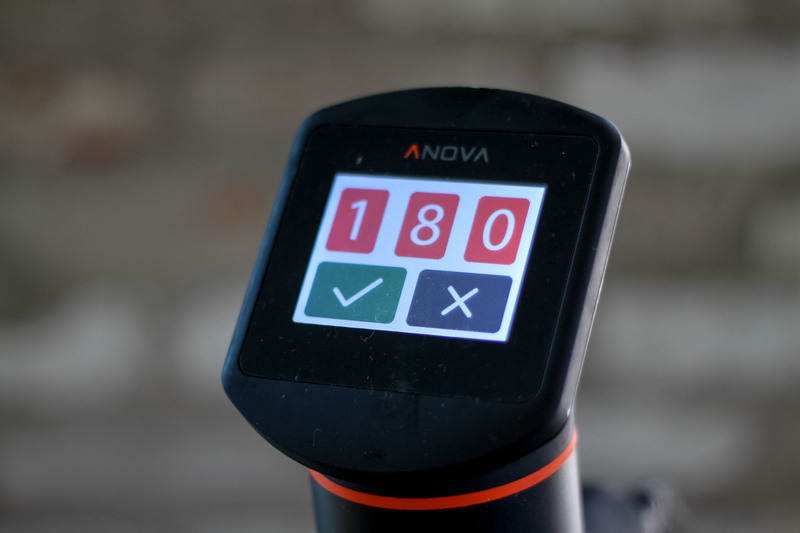 Set the Anova Sous Vide Precision Cooker to 180°F (82°C). Combine all ingredients in a large zipper lock bag. Seal the bag using the water immersion technique and place in the water bath. Set the timer for 24 hours. Cover the water bath with plastic wrap to minimize water evaporation. Add water intermittently to keep the short ribs submerged. When the timer goes off, remove the bag from the water bath. Remove the short ribs from the bag and set aside, covered. Heat the broiler to high. Pour remaining contents of the bag into a large skillet. Bring to a rapid simmer over medium high heat and reduce by two-thirds, or until liquid coats the back of a spoon. Skim off any excess fat. Season to taste with salt and pepper. Meanwhile, place the short ribs on a foil-lined broiler-safe baking sheet. Broil until the short ribs are golden brown, about 5 minutes. Serve with the reduced sauce.